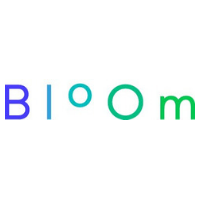 Bloom is a Swiss chemical company, which mines renewable chemicals in plant materials. Based on two core values – efficiency & selectivity – Bloom is able to manufacture cost-competitive green molecules for a broad range of applications. To achieve this, Bloom relies on a proprietary technology able to mine the most abundant biopolymers on Earth with unprecedented yields. This revolutionary pretreatment method suppresses degradation pathways during the fractionation process and sets new standards in the field. Bloom’s disruptive selectivity towards target molecules significantly lowers the separation costs and limits the overall environmental impact. Altogether, Bloom has overcome one of the main challenges in the chemical upgrading of plants and currently produces the most versatile building blocks for tomorrow’s bio-based Chemistry.